Pamela is an artist and printmaker living and working in Islington. 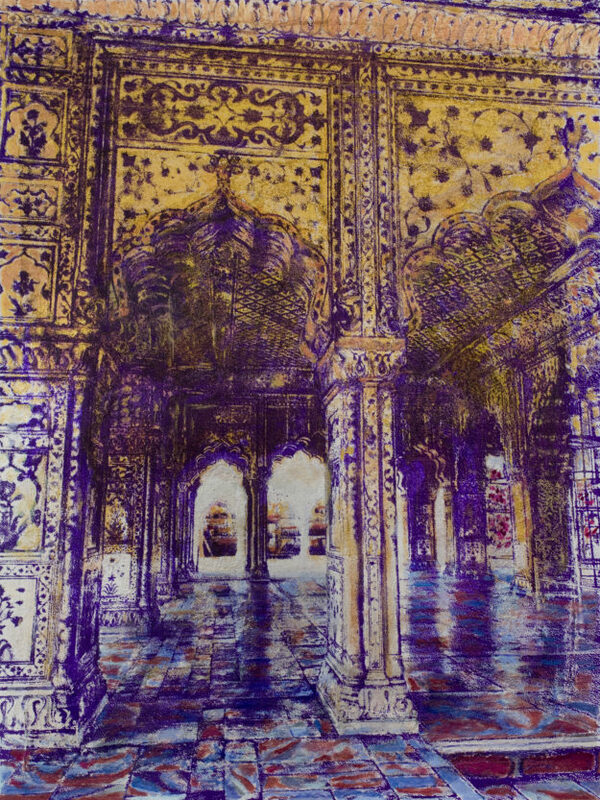 She exhibits regularly in London and her work is held in private and public collections in the UK and overseas. 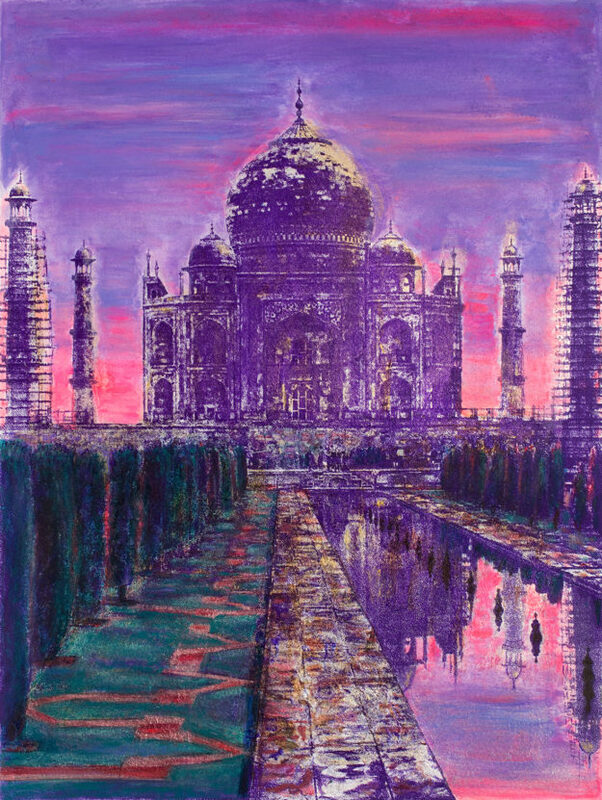 She presents urban views of the city, including Jaipur, Venice and San Francisco. She is influenced by the myriad richness of colours, contrasts of light and atmospheres, architectural styles and metropolitan histories and cultures. Pamela’s work traces the architectural fabric and ley lines connecting past to present, from church spire to glass citadel. Iconic buildings such as St Paul’s Cathedral and St Pancras Station, and Regency town house rooms feature in some of her compositions. Pamela’s prints of San Francisco continue this theme with an interest in its literary, cinematic and musical history. 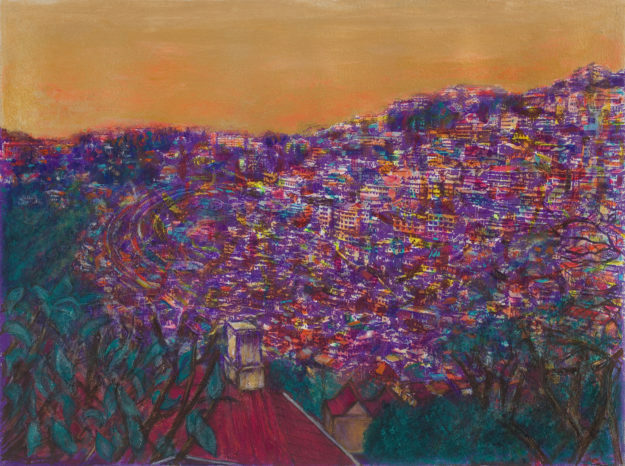 This is reflected in a panorama of Victorian houses in Russian Hill, vertiginous views of downtown buildings including a Chinatown bakery and a vibrant interpretation of the North Beach Bebop scene. Her recent images of Venice evoke a journey of labyrinth streets hung with silks, alongside canals of glittering water, across squares and past sunken palaces of peeling stucco and graffiti. 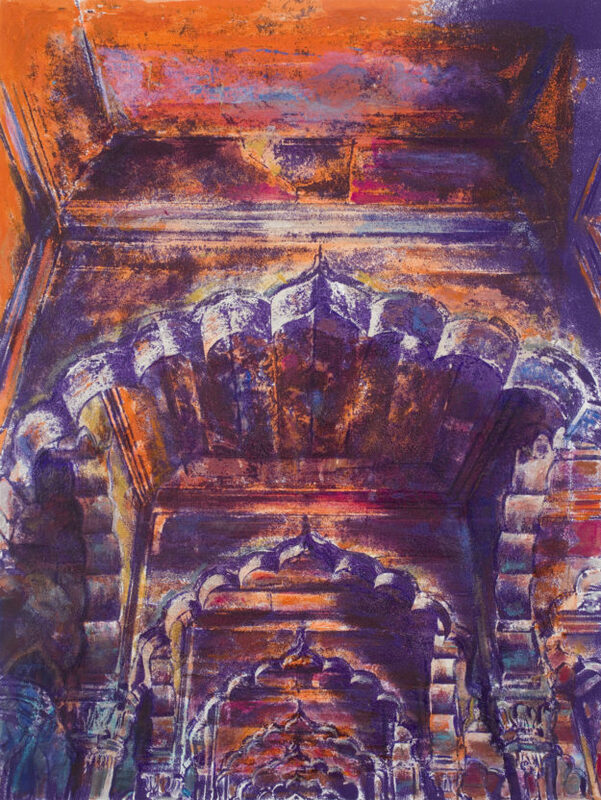 Cultural and architectural treasures hidden between chaos and movement in tranquil and magical spaces are reflected in her latest Indian prints. Her approach includes investigating the relationship between mono and photo-screen printed and painted shapes; the layering of pixelated and textural surfaces and contrasting vibrant colour hues with aged patinas. Pamela studied painting and printmaking at Portsmouth University where she obtained a BA (Hons) Degree in Fine Arts. After receiving a Post Graduate Degree from the Institute of Education, University of London, she ran art departments and lectured in multi-media art activities to a wide range of ages. More recently Pamela has participated in advanced painting and mixed media courses at Central Saint Martins.